In 2015, disruptive technologies reshaped business models, and changed how companies operated. Disruption brought greater competition into the marketplace, but along with it, significant headaches for those who stuck with their traditional business models. However, companies are increasingly growing weary of the term ‘disruption’. For many organizations, ‘disruption’ is instead better interpreted as an evolution in the adoption of technology to be more competitive in a dynamic business world. In today’s ever-changing business environment, organizations are looking towards harnessing macro trends in order to drive success in business as usual (BAU) goals, while managing the evolution of technology brought about by big data, cloud, applications, the Internet of Things (IoT) and mobility. In this regard, companies are shifting from a traditional, infrastructure-based technology model to an applications-centered one that is focused on business outcomes and requirements. Lines of business (LoBs) are exerting more control over tech budgets and spending, and creating a hybrid investment approach that blends business with technology outcomes. Mobility, consumer technology and the cloud have created a technology environment which is much more conducive to mobilizing workforces. In lieu of this, companies should take advantage of this opportunity to adapt their strategies. 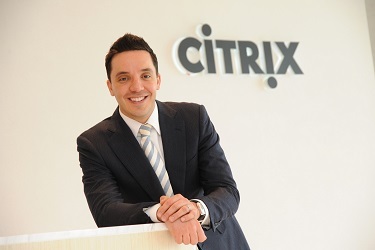 In this article, Mark Micallef, Area Vice President for ASEAN at Citrix talks about three key technology pillars that businesses need approach with more maturity as we move into 2016. Mobility has been a focus of great excitement and investment for many companies, with many organizations now seeking to drive greater business value from their mobility stance. However, according to a recent Tech Research Asia report of companies with a mobility strategy, only 17 percent take on a holistic approach that encompasses devices, workplace, apps and cloud. In fact, only 21 percent of businesses felt that their current mobility strategy was completely effective in meeting their business goals. For many, mobility strategies are device-centric due to the spike in the consumerization of IT in the workplace, as well as the growing BYOD trend. Today, where people work is changing as much as how people work. In addition to supporting greater mobility in the workplace, companies need to ensure that their mobility strategy moves from ‘device-led’ to ‘engagement-led’. Mobility is no longer about the device – it is now about the mobility of business processes, data and apps, to perform better in a competitive marketplace. Organizations are living in a cloud-centric world, with the cloud seen by many as the key to current and future success. Over 89 percent of companies report that they have a cloud-first policy, or have plans to develop one. However, businesses are yet to reap the full benefits of the cloud, with almost half of businesses surveyed deeming the cloud to be insufficient in meeting business needs. Nevertheless, as companies shift towards a focus on applications, the cloud is fast becoming the default platform for all workloads. Hybrid IT and cloud-enabled technologies are expected to define the new normal in Asia Pacific. Workload portability brings with it the promise of greater efficiency, flexibility and transparency in cloud performance for enterprise customers. While cloud expectations are sky high, businesses who are not fully satisfied with their cloud deployments will be looking to workload portability as a way of ‘encouraging’ cloud providers to improve the performance of their solutions. A secure IT infrastructure is no longer a luxury, it is a requirement. However, traditional approaches to enterprise security have not met the expectations of 1,000 business and IT leaders surveyed, only 40 percent of them held the view that their technological security environment was effective in meeting the goals of their business. In addition, as technology increasingly penetrates the business environment, organizations have needed to ‘bolt-on’ additional security solutions. As a result, companies are feeling the pinch, as security costs have increased relative to the technology’s capabilities. Furthermore, regulatory requirements are also continually being tightened globally as well as in the region, and organizations will need to invest even more to bolster their security posture – one that encompasses cloud, mobility, PCs and apps. As such, security solutions have to be mobile and application-friendly to effectively protect businesses in a landscape with ever-growing and increasingly sophisticated threats. Technology has accelerated the rate of change required of businesses in a dynamically global market. Looking at 2016 and beyond, it is time for companies to change how they approach technology. After investing in infrastructure capable of supporting their business needs, it is time for organizations to move beyond disruption and focus on strategies targeted at discrete business issues rather than just the broader technology ‘lights on’ projects, in order to stay ahead of market demands.